It is very well suited for large websites and clients with multiple properties where some data is shared. I would not recommend it for smaller websites as the overheard would be too much for small clients and basic websites. Super easy installation/setup particularly if you use Segment. Improved and relatively easy to learn UI. Great minimal/elegant design of the elements that get displayed to your users. Components were introduced to reduce the development & authoring time by reusing them. With some clients, it worked very well because they had page structure and content like that. But if you have UI requirements that can not support component re-usability then your life will be difficult. You will end up creating more and more components in the hope that they will be utilized one day some where on some page... Although you can achieve re-usability by creating smaller customizable component but then again it will increase your development time. In a Nutshell, you will not save development time. Osgi was a great concept. AEM Developer used to write the most of business logic in them but due to adaptation of micro-services, now everybody wants to implement business logic in there instead of AEM internal OSGi. If your architecture had micro services then power of Osgi is useless for you, you will just use 10-20% of it which will bring no big value. License of AEM is super costly, not every organization can afford it. Once you have implemented AEM, it will be hard to get rid of it. Getting rid will mean another investment. Like other products, AEM also releases new versions. Upgrades to new versions never happens smoothly. Means organization needs to spend more money to upgrade the servers. You need a big infrastructure to deploy AEM server setup. Each setup needs at least 3 machines, one for author, one for publisher and one for dispatcher. This means spending more money on maintenance. TouchUI is confusing sometimes for everyone i.e business, authors, developers. There are not quite as many interactive elements as I'd like to see, but enough to get the job done. The general editing UI is good, but some of the elements could be easier to discover. You sort of have to trial-and-error your way to success. Documentation is fairly light. If you really want to dig in, you'll find it lacking. Luckily support was awesome and fast. Adobe CQ has training classes that you can be in or watch to get a better understanding. They have some of the best customer support so if you run into any problems you can just contact them put a ticket in and they will fix it or work with you to fix the problem or issue you are running into. We had some colleagues try to implement WalkMe with their Single page app and it was a disaster getting it to work (it eventually did, mostly). 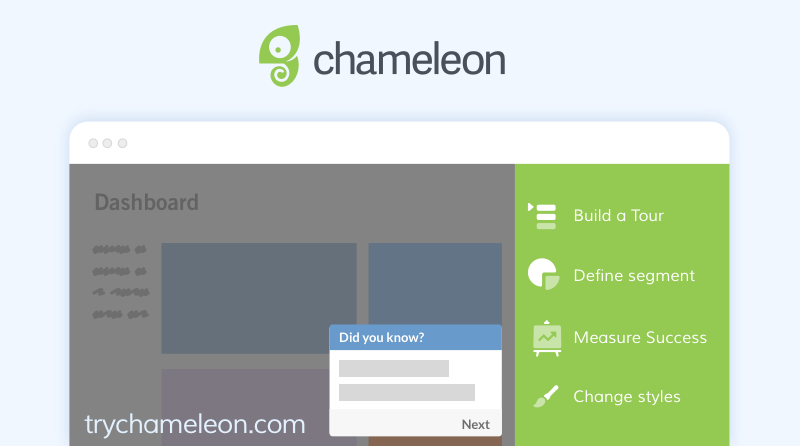 Because we already use Segment, we thought we'd give Chameleon a try and it was very easy. I built my first tour in an hour or two. Saved us time/money building extensive documentation. Quicker to implement a few other solutions. We have access to an enterprise product for FREE, but we chose not to use it because implementation was too cumbersome.